The aim of the European Academy of Religion was to network individual researchers and - according with “Fescire” and “juraforum.de” from 14 of June – it is a public space of confrontation and dialogue about the multiple dimensions of religious experience involving science societies where philosophers, jurists, philologists, historians can exchange ideas and present the result of their scientific work. The change in the religious landscape is particularly challenging for political decision-makers and for the legal system, but also on the level of civil society”. The University of Münster’s Cluster of Excellence “Religion and Politics”, was involved in the foundation of the new academy and the European Parliament and the European Commission Representation in Italy have assumed patronage of the conference and it is modelled on the renowned American Academy of Religion (AAR), which brings together scholars of religion from all over the world in North America". Illustrious scholars and politicians joined the European Academy of Religion as Professor Hans Schilling and H.E. Romano Prodi. Dr. Liviu Olteanu appreciated the excellent presentations of these international experts on religion and politics. Professor Schilling had a excellent Debatio on “Luther, the Reformation and the consequences for Europe” and The Honorable Romano Prodi had a Lectio on “Europa, religione, laicita”. These international personalities have been invited to cooperate with the AIDLR regarding fostering dialogue, respect for differences and freedom of religion or belief as tools for peace and concordia between people, religions and cultures. 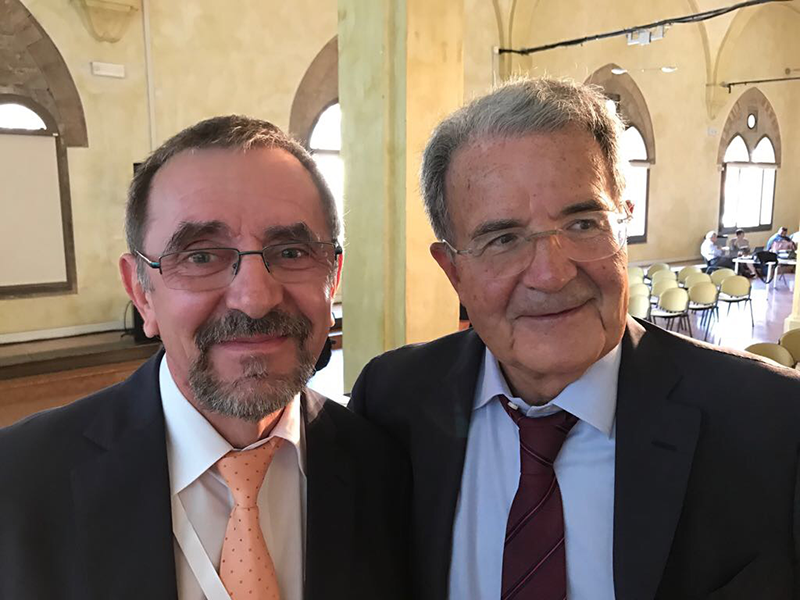 Photo: The Honorable Romano Prodi, Former Prime Minister of Italy and President of European Comission and Dr. Liviu Olteanu at the European Academy of Religion host in Bologna, Italy in June 2017. 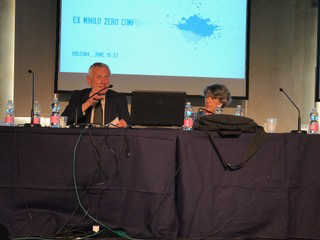 Photo: Professor H. Schilling during his discourse.